UC Santa Cruz has received two grants from the National Endowment for the Humanities (NEH) to support humanities projects in the Literature Department. The campus awards are part of $43.1 million in grants for 219 humanities projects nationwide that the NEH has funded this year. 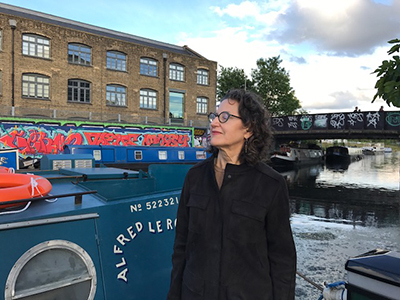 Literature professor Karen Bassi received $200,000 to support a four-week National Endowment for the Humanities Summer Institute for 25 college and university faculty to examine museums as sites of cultural meaning. Bassi noted that the the goal of the project is to investigate how museums promote humanistic teaching and research. “The Institute will focus on museums as sites for interdisciplinary inquiry into advances in humanistic and scientific research, the effects of ongoing international conflicts, the speed of evolving technologies, and ethical debates over privacy, sustainability, and cultural heritage,” said Bassi. “The Institute is guided by the principle that museums offer windows on the educational, ethical, and cultural debates that define the humanities today,” she added. Four major museums will serve as case studies--the National Museum of African American History and Culture, the National Museum of the American Indian, the United States Holocaust Memorial Museum, and the Freer-Sackler Museums of Asian Art. Bassi will co-direct the project with Gretchen Henderson, a 2018 Tanner Fellow in environmental humanities at the University of Utah, lecturer at Georgetown University, and research associate at UC Santa Cruz. The Institute builds on a previous NEH Summer Institute led by Bassi in 2014 in Athens, Greece, in which Henderson was a participant. Bassi earned her B.A in Classics from UC Santa Cruz in 1980 and her Ph.D. in Classics from Brown University in 1987. She has taught at UCSC since 1989 and also served as chair of the Literature Department, director of the Classics program, and director of the Educational Abroad Program in the Netherlands. Her latest book is Traces of the Past: Classics between History and Archaeology (University of Michigan Press 2016). She recently received a $42,000 NEH fellowship for the 2017-18 academic year to support research and writing leading to the publication of a new book on attitudes toward death in ancient Greek tragic drama. Director and co-founder of the Dickens Project John Jordan received a $94,143 NEH grant to support a three-week seminar for 16 school teachers on adaptations of literary works. Titled “Reimagining the Literary Classic: Teaching Literature through Adaptations,” the three-week seminar for middle and high school teachers will use two case studies, Jane Eyre and Great Expectations, to show teachers how they can use literary adaptations to connect the study of literature with the development of their students’ core skills--including critical reading, analytical reasoning, argumentative writing, and creative production. 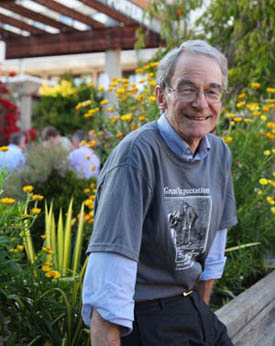 The seminar will be hosted by the Dickens Project at UC Santa Cruz and take place in July of 2019 so participants may take advantage of the Dickens Universe, the annual week-long gathering for scholars, teachers, and Dickens enthusiasts from around the world, which begins immediately following the end of the seminar. Jordan is the principal investigator on the grant and the seminar will be led by Professor Marty Gould, associate professor of English at the University of South Florida, who has led previous Dickens Project seminars sponsored by the NEH at UC Santa Cruz in the past.